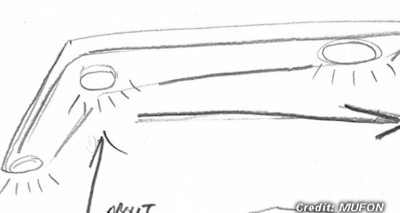 A retired police officer reported watching a low flying boomerang-shaped UFO that moved over Daubenberger Road in Turlock, CA, about 7 p.m. on January 24, 2015, according to testimony in Case 62855 from the Mutual UFO Network (MUFON) witness reporting database. The witness and his wife were driving home at the time of the incident. The witness said the object was heading northbound over houses going towards a cornfield north of Tuolumne Road. The witness provided his professional background.